Louisville is known for a few different reasons among those that don’t live here, mainly baseball bats and a name that doesn’t phonetically make any sense. To those who call the River City home, there are so many reasons to love it. 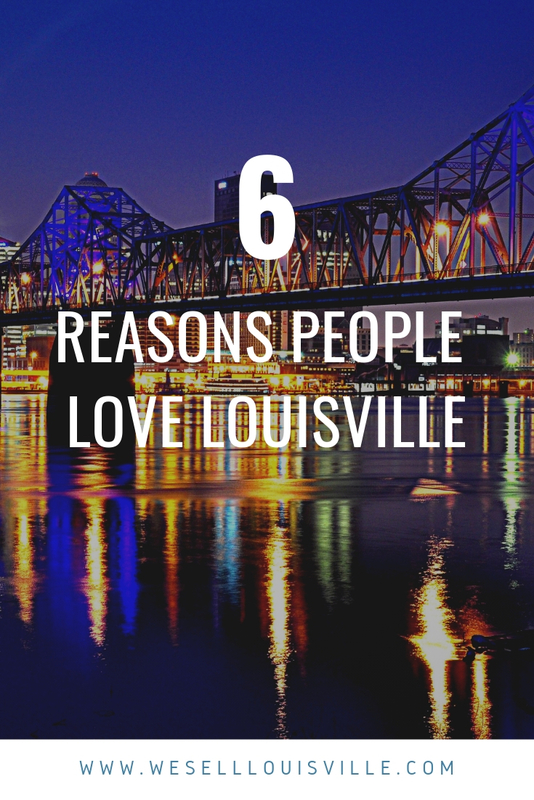 Here are some of the top reasons why people who live in Louisville love living in Louisville. Residents love that the special pronunciation of their town only adds to the special and unique atmosphere of their home. There is literally a place for every type of person here. There are many great and diverse neighborhoods that make up the Louisville Metro area. The Highlands, Clifton, and Butchertown are the place to be for anyone into the arts, bar scene, shopping, boutiques, and awesome local eateries. Find a more traditional and preppy, yet still young and fun atmosphere in the St. Matthews area. If you are looking for an affordable place to be while still in the heart of the city then NuLu is your place to be. Want a charming historic home still within walking distance of things like say the University of Louisville? Then Old Louisville is perfect. Louisville is a big city, but it is also a wonderful place to enjoy the great outdoors. There are some great parks in Louisville. If you love the outdoors check out Cherokee Park, Iroquois Park, Waterfront Park, and Shawnee Park just to name a few. Louisville is in a great location. There are many great activities to keep you busy within the city limits, but should you want to venture out further, there are many great destinations just a short drive away. Mammoth Cave and Nashville are to the south, to the north is Indianapolis, and Cincinnati, on the east is Lexington, and to the west is the popular landmark Arch of St. Louis. As we mentioned above, the city is chock full of great things to do. In addition to the many great local boutiques and restaurants Louisville is home to the Kentucky State Fair, Forecastle Music Festival, the Waterfront Wednesday Concert Series, Speed Art Museum, Kentucky Derby, Museum Muhammed Ali Center, Louisville Slugger Museum, concerts at the Yum! Center and The Palace, Urban Bourbon Trail, Mega Caverns zip lining, and more. Whew! That was a mouthful! Okay so this was touched on a couple of times in previous points, but Louisville was recently named #1 on National Geographic’s list of Top 10 Food Cities in the World. It ranked over cities in countries like France and Italy that are known for their amazing food. So it is worth mentioning again that the restaurants of Louisville are an obvious reason why people love to live here. Louisville’s most iconic dish is the hot brown. It’s a famous open-faced hot turkey sandwich with bacon, special Mornay sauce, and cheese. The hot brown has a long-standing history and was invented in the 1920s by Fred Schmidt, the chef at the iconic Brown Hotel. If you are moving to Louisville there are many reasons to fall in love with the city. If you need help buying a home in Louisville we have a team of experts ready to find a place just for you. Feel free to contact us anytime.